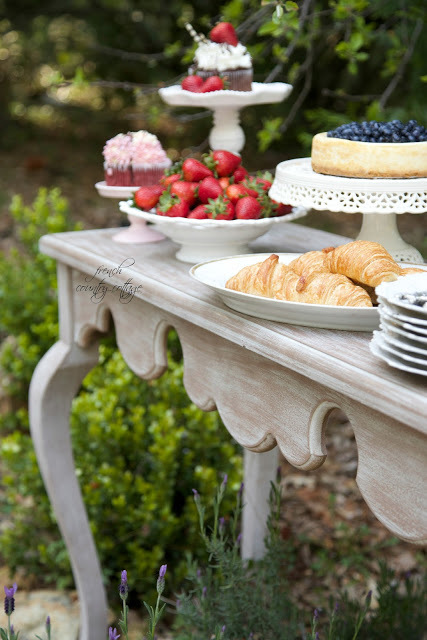 is the first dessert that comes to mind when planning the menu. For several reasons really- and yes, because they are amazingly delicious is one of them. which makes them even more perfect for entertaining and indulging in. 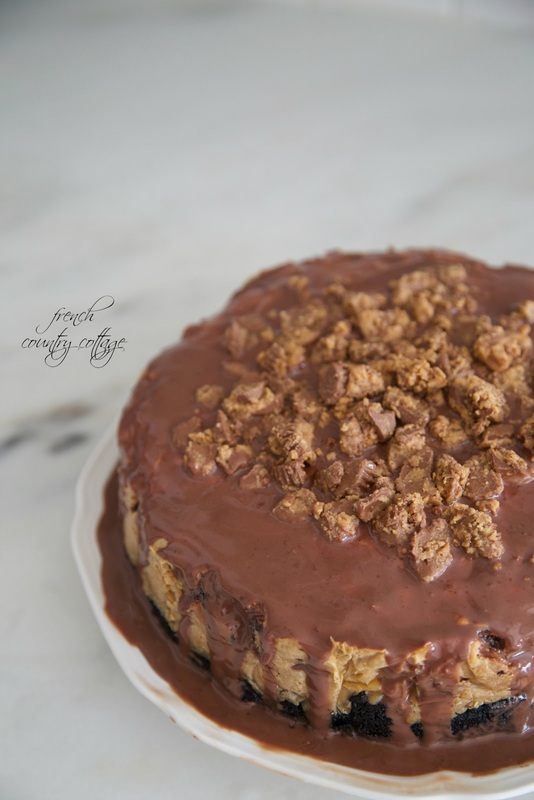 I'm sharing 3 favorites today- pick your favorite and give it a try. or the difficulty in putting the fork down and stepping away from the cheesecake. One that is practically a health food with all those fresh berries. and mix until well blended and uniform. Press mixture onto the bottom of a 9-inch springform pan- and bake for 10 minutes. Remove crust from oven and raise oven temperature to 450F degrees. Combine softened cream cheese and sugar in a large bowl and mix with an electric mixer at medium speed until well blended. Blend in the vanilla and then pour into crust. Loosen cake from rim of pan by using a knife and running it around the edges. 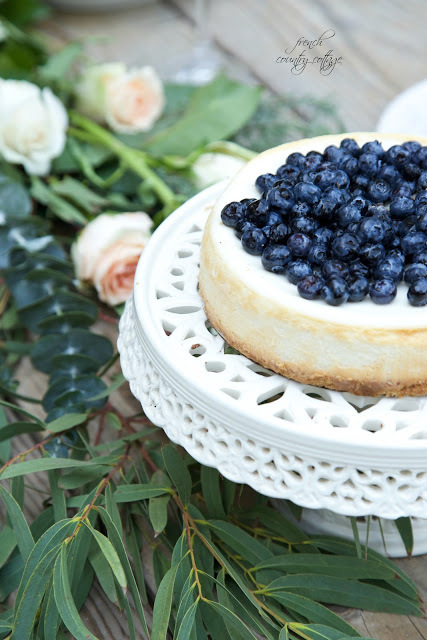 Cool your cheesecake before removing the rim and chill in the refrigerator. and peanut butter is your thing? I can tell you that it is definitely mine. 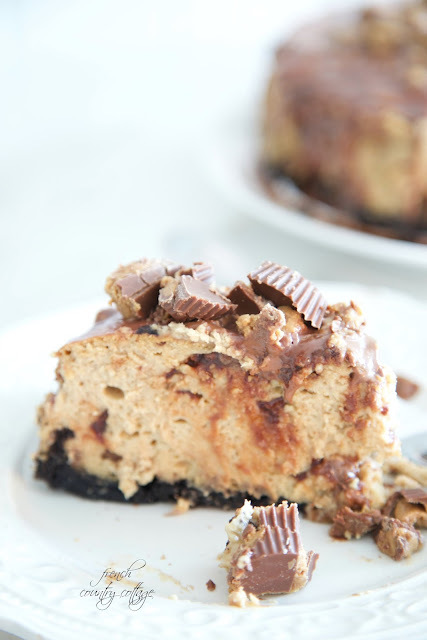 This Reese's Peanut Butter Cup Cheesecake is insanely good. Or maybe you are more of an all.chocolate all.the.time. kind of cheesecake lover. 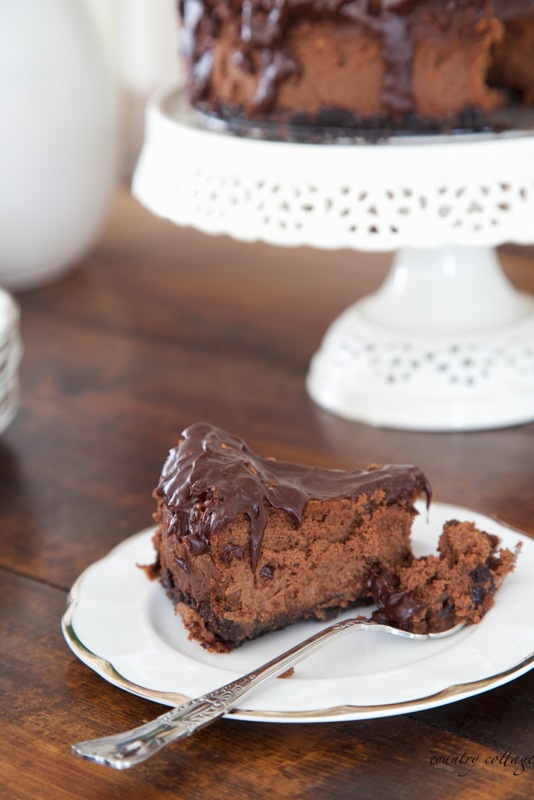 Well, I have you covered there too with this triple chocolate cheesecake. And yes, it is as amazing as it sounds. Maybe I could cut the recipes in half and make it a triple cheesecake kind of weekend. Really wonderful photos! Very delicious! Cependant je crois que je vais flancher !! Oh my goodness, I could eat a piece of each right now. Thank you for sharing, I'm pinning and will give them a try. I love to make a cheesecake. I have a friend's recipe that I received over 30 years ago that is my 'go to" recipe. 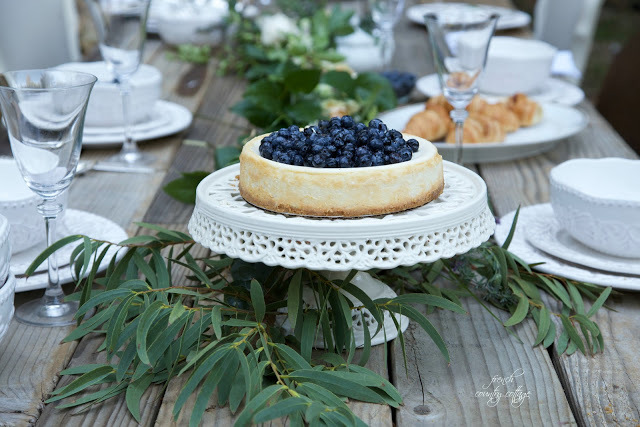 Yours with the fresh blueberries looks divine. Thank you for sharing! Leftover cheesecake for breakfast ALWAYS works for me! These look DIVINE. Thanks for sharing them.